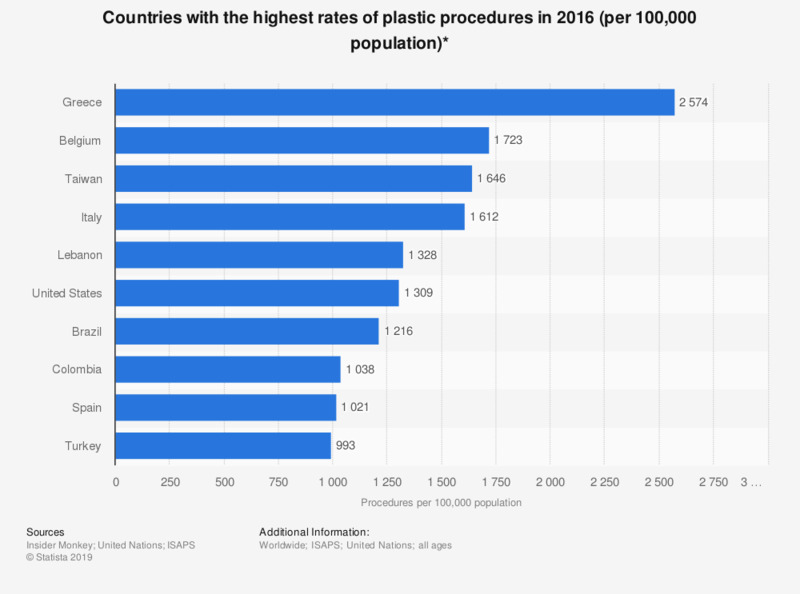 This statistic describes the rate of plastic surgeries in selected countries in 2016, per 100,000 people. In that year, the United States reported 1,309 such procedures per 100,000 inhabitants of all ages. Thus, the U.S. had the sixth highest rate worldwide. * Cosmetic procedures per 100,000 people of all ages per year.